← Ok, I figured out the comment problem…..
Yeah, I know, this is where it gets weird. But to me, Christmas Eve is the best part of the holiday season, and we have to include January 6th…plus, I got too many prizes this year, so we still have a few more to go. As we all know from the comment fiasco on Day 11, I can be technologically challenged. For example, I managed to upload a research-related calendar into my phone contacts, so when I go to find a phone number, I am reminded of the date of the Siege of Sherpur, Sir Charles Halle’s birthday, or all of the days when Roy the dog attacked Professor Presbury in CREE. This would be annoying if I ever called anyone besides my husband and Chinese take-out, but I don’t, so I haven’t really taken the time to erase everything. Which finally turned out to be a good thing, as it’s provided today’s question. 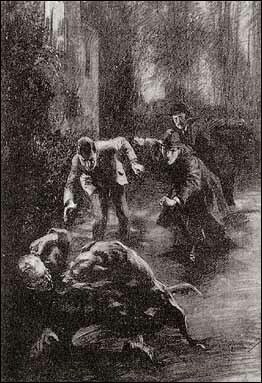 Sherlock Holmes and Dr. Watson are both highly educated men, both for their time period, and in general, making the Canon replete with scientific, artistic, literary, and historical allusions. So, able scholars, where can you find the references to the following: Jonathan Wilde, Johann Wolfgang von Goethe, Jean-Baptiste Greuze, and Charles Darwin? 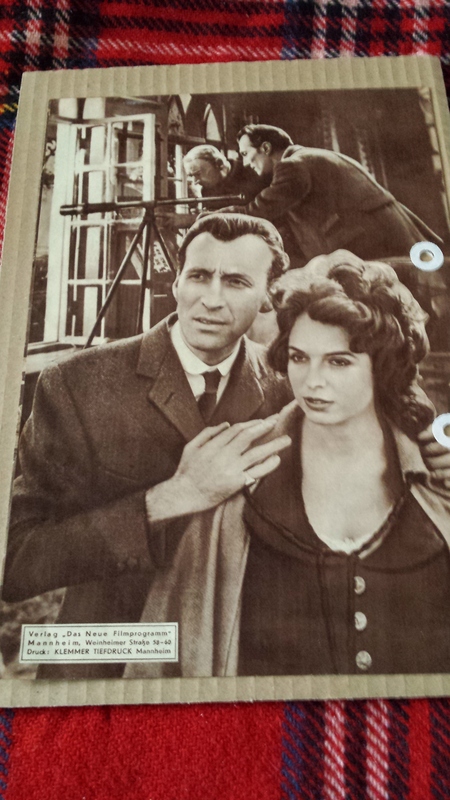 Today’s prize is an example of the wonderful treasures you can find when you explore the Sherlockian offerings on eBay. 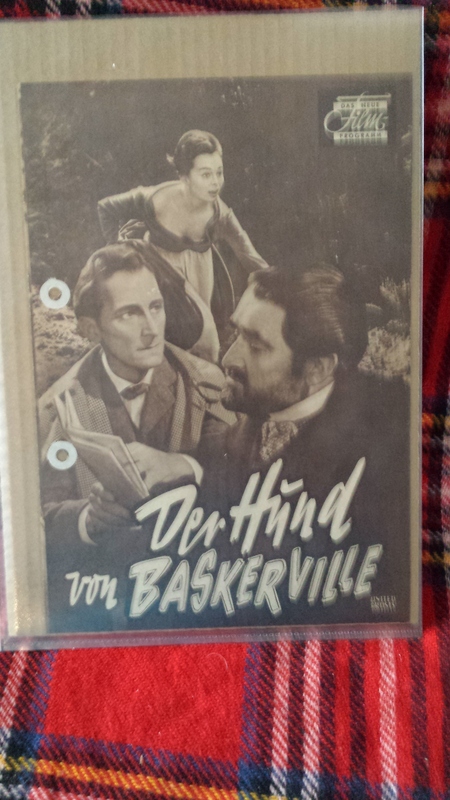 I’ve never seen anything quite like it: a German movie program for the Hammer version of “The Hound of the Baskervilles,” starring Peter Cushing, Andre Morrell and Christopher Lee. 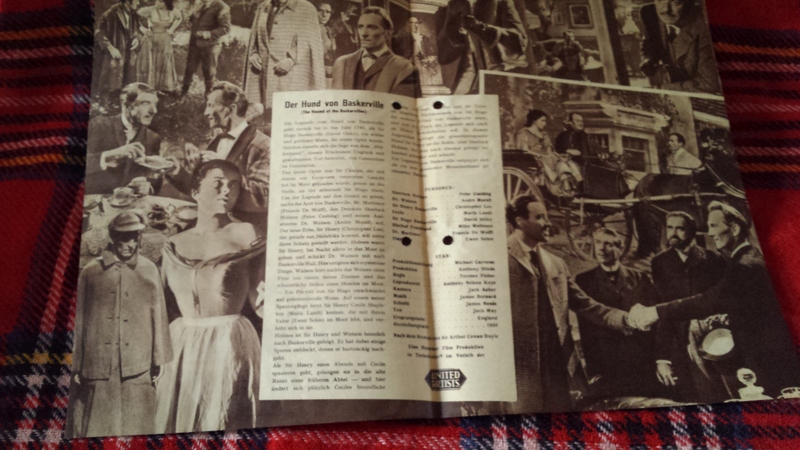 It’s printed on thin paper and very fragile; I only took it out of its slip cover to photograph it. Images are large so you can see the detail. One of the best things about being a Sherlockian is knowing how Holmes and Watson bring together people from all over the world–both now, and for the last 128 years. This program is evidence of that connection. As always, to enter the drawing, just send your answers in via blog comment, FB PM or Twitter DM. For full rules, see the entry for 20 December.